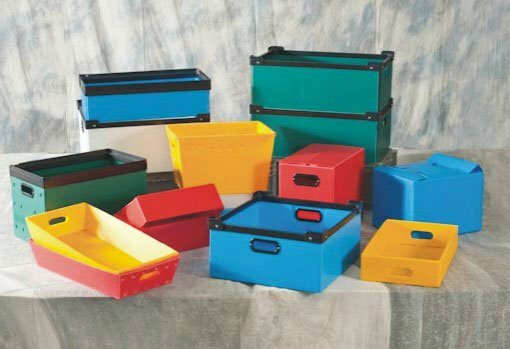 DO YOU NEED AN EXACT SIZE OR STYLE PLASTIC CONTAINER BUT DON’T HAVE THE VOLUME FOR EXPENSIVE TOOLING? Plastic corrugated sheet/containers available 3 mil. to 16 mil. Plastic corrugated available in many colors. AIM Reusable Packaging can design and manufacture your specific container.